We all download movies music every day. Among all other download sites mediafire is the most famous hosting site. 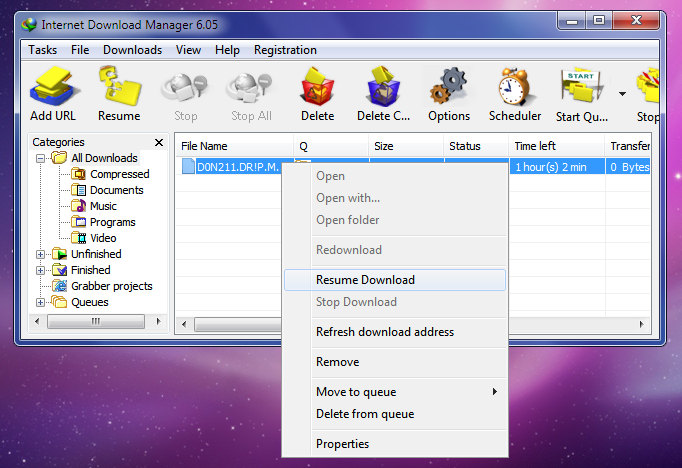 Internet Download Manager is the download accelerator most of the windows users are used to. So when we are downloading something using a regular account what happens if a download is being interrupted. We have to download it from all the beginning. :( So I'm going to explain a method to resume downloads and you don't have to download from the beginning at all. Now right click on the download you want to resume and select properties. Then you'll probably get a screen as below. Then copy the Address and paste it in a web browser. 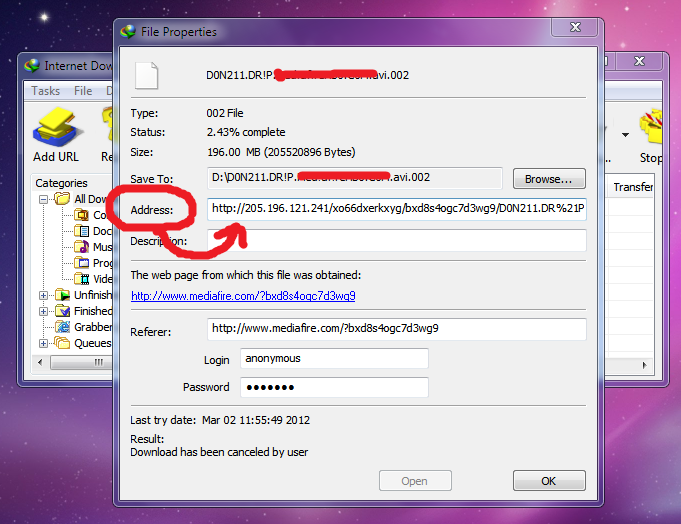 Then right click on the Copy the Link Location and copy the newly generated link..
Then in the Properties of the Download in the Internet Download Manager. Copy that link to the Address value. Now go to the Download list and select resume download. Hi! does the trick work for other file sharing sites like rapdshare?